The Paranormal Romance Guild has given The Boys of Summer a glowing 5 star review that has rendered me to this state. Do check it out! 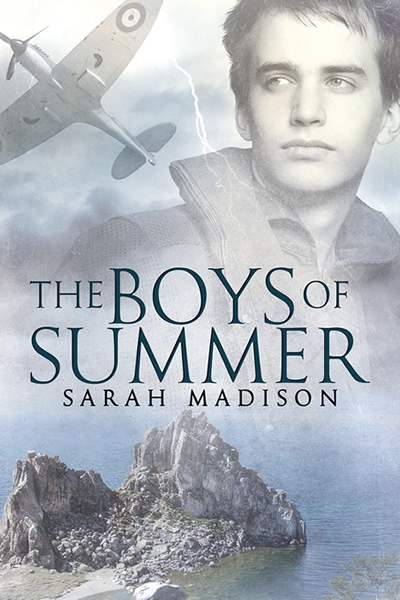 Also, from now until midnight on May 19th, comments left at The Armchair Reader on my post regarding The Money Shot in M/M Romance will enter you to win an autographed copy of The Boys of Summer! And next week, I’m off to Galacticon3! I hope to see some of you there! This entry was posted in Uncategorized and tagged announcements, Battlestar Galactica, Dreamspinner Press, promo, reviews, Sarah Madison, The Boys of Summer by Sarah Madison. Bookmark the permalink. AWESOME! And so deserved by you. This is a wonderful book, and the accolades it’s receiving are not overblown at all. You really create a story of beauty and heartbreak. I stand by belief that Rick and David were given a second chance.